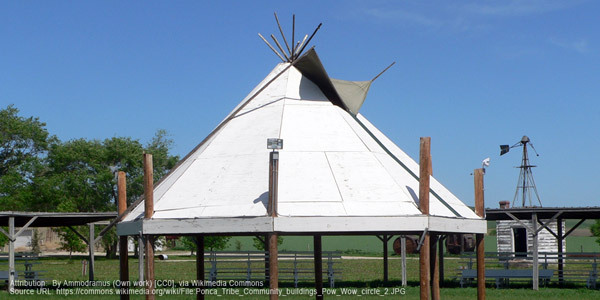 About the Ponca: The Ponca are a small tribe who lived on the Central Plains since earliest recorded history. During the in the 18th and 19th centuries larger tribes and white settlers easily outnumbered the Ponca forcing them to move constantly. Some of the accounts of Lewis and Clark show the explorers meeting the Ponca during the expedition’s westward journey in 1804. History of the Reservation: Treaties with the government in 1858 promised the Ponca their traditional lands. However, with the Fort Laramie Treaty of 1877, the Ponca were forcibly moved to Indian Country in Oklahoma. Disease and starvation plagued the Ponca during the forced march and killed almost one-third of the Tribe. The Ponca, unable to adjust to the climate did not like their new reservation and asked to be returned to their original land. The U.S. government denied the Ponca’s request. When the son of Chief Standing Bear died, Chief Standing Bear and his band left Indian Country to travel back to Nebraska to bury his son. Although stopped by federal troops and arrested for leaving Oklahoma, Chief Standing Bear eventually led his people back to their Nebraska homelands. The government finally ceded the Ponca a small parcel of land in Nebraska. 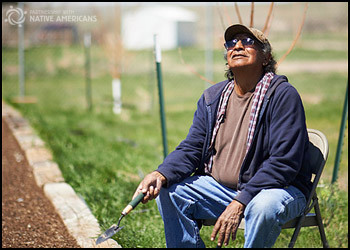 Life on the Reservation: The Ponca rely on agriculture and tourism. Ponca on the map: Eastern Nebraska.